New Wave Domesticity: Wedding Feature! 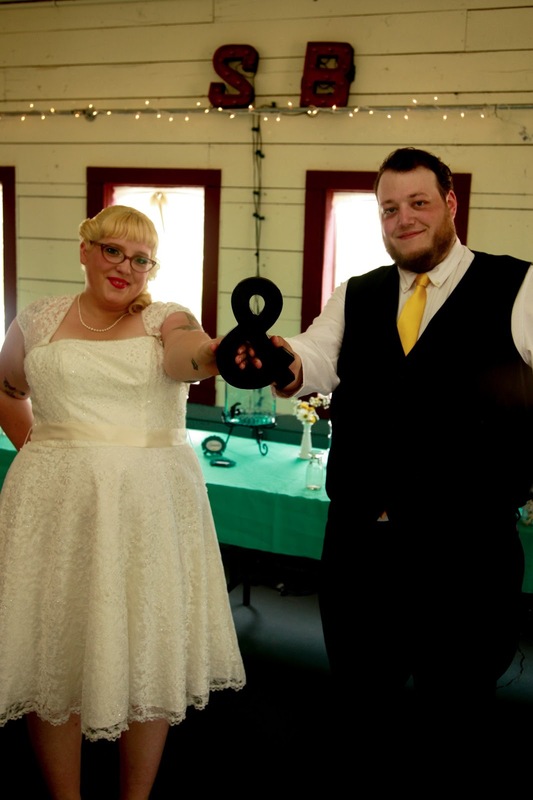 Earlier this week, our wedding was featured on Offbeat Bride! The feature is pretty exciting to me since that is a blog that was really inspiring to me during my planning process! I thought it was about time that I shared a bit about some of the details of our big day even though it was was a few months ago. Over the next few weeks, I will be highlighting some of the special details of my wedding and sharing a bit of DIY tutorials and budgeting tips, so stay tuned! Great job on your wedding! It feels so down-to-earth, which I love. How awesome that you made jam as favors. From a non-guest's perspective, SO COOL! Congrats on the feature! you look beautiful!-love your dress & styling! Oh I was hoping to find a picture of you in your wedding dress on here and I found it! You look stunning! I am certainly inspired to do a white wedding dress with my pale red-headed skin! Thank you so much! Your dress is lovely and I can't wait to see photos of your wedding on your blog!